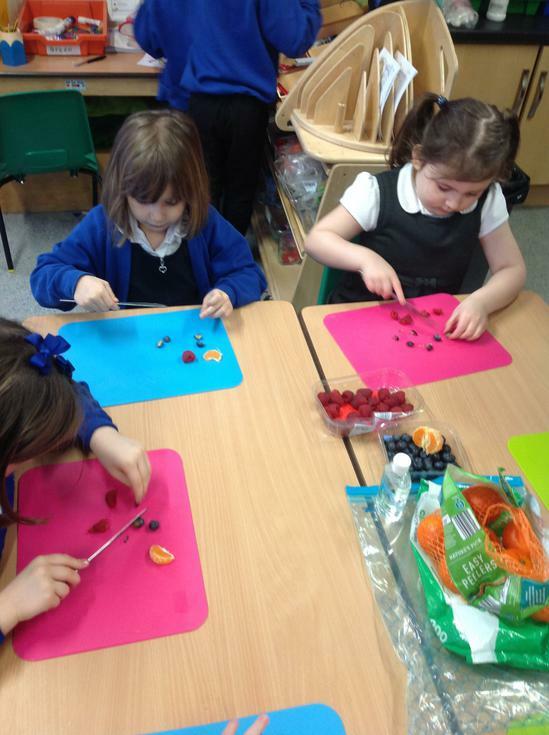 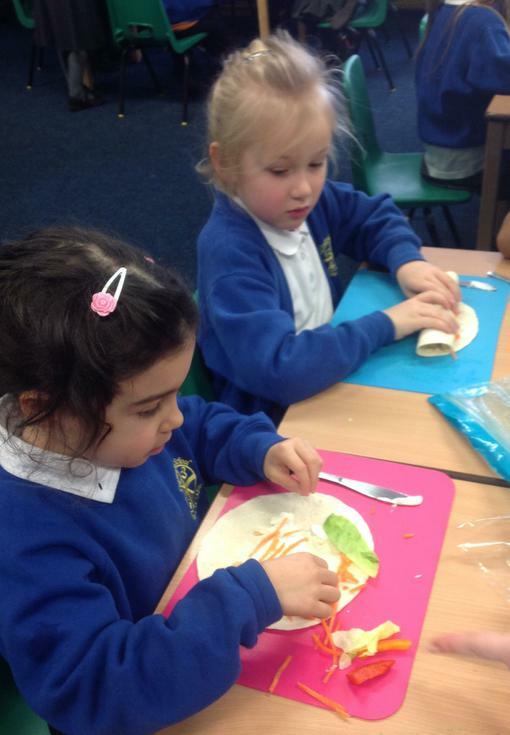 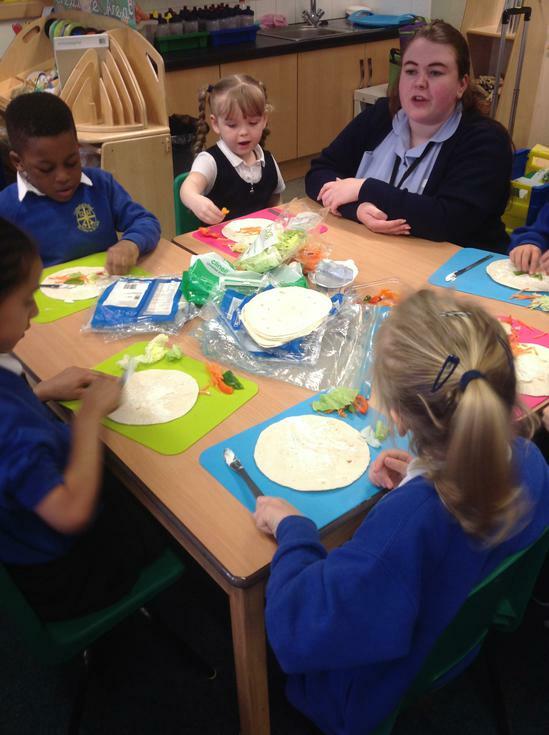 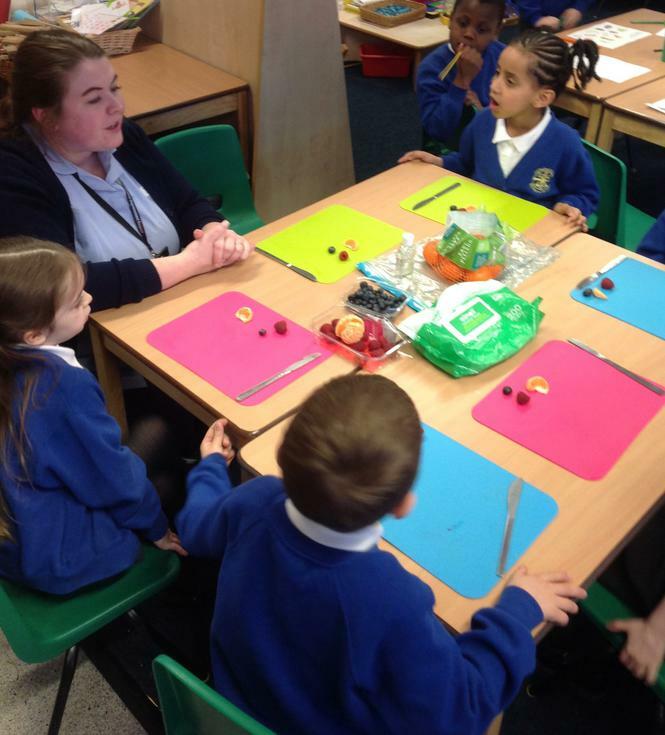 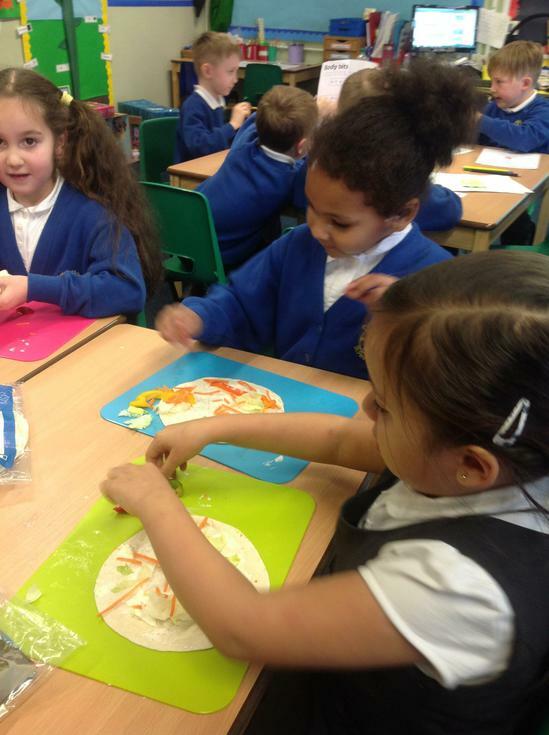 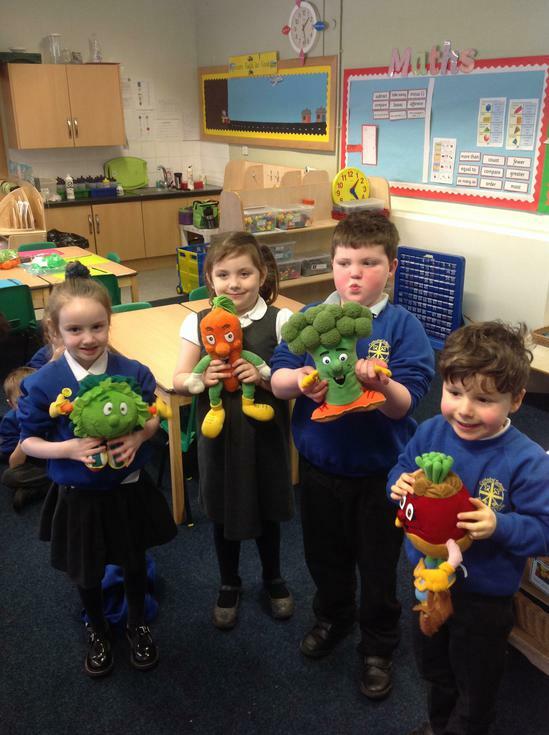 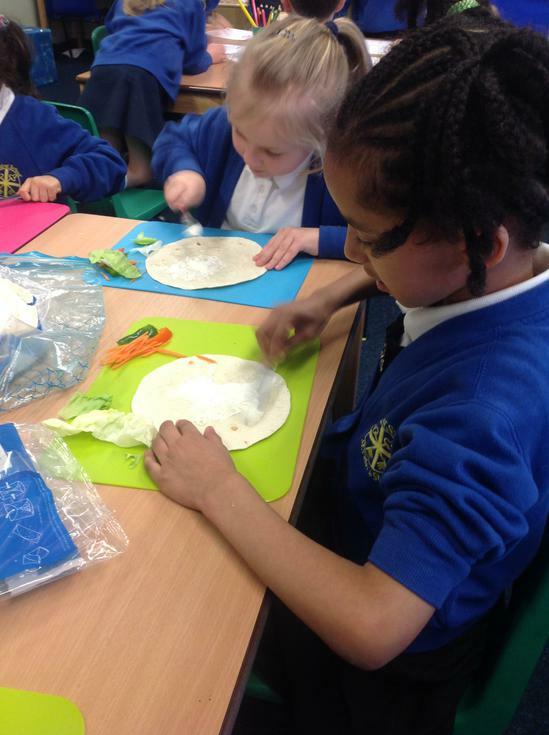 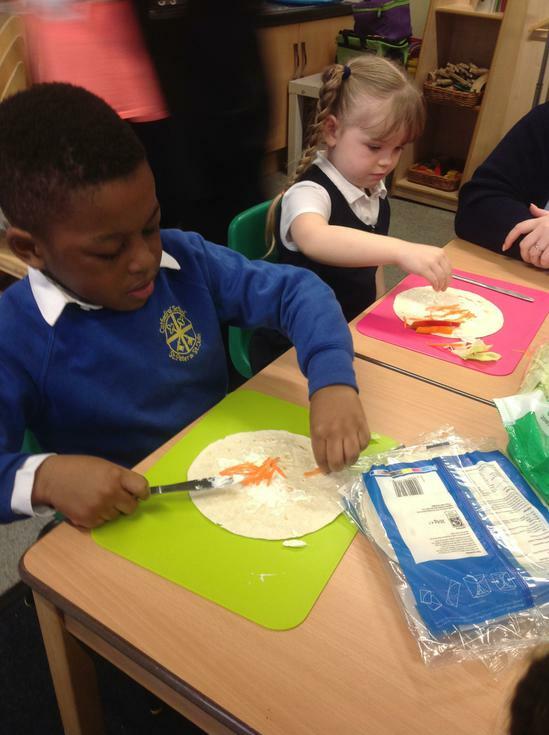 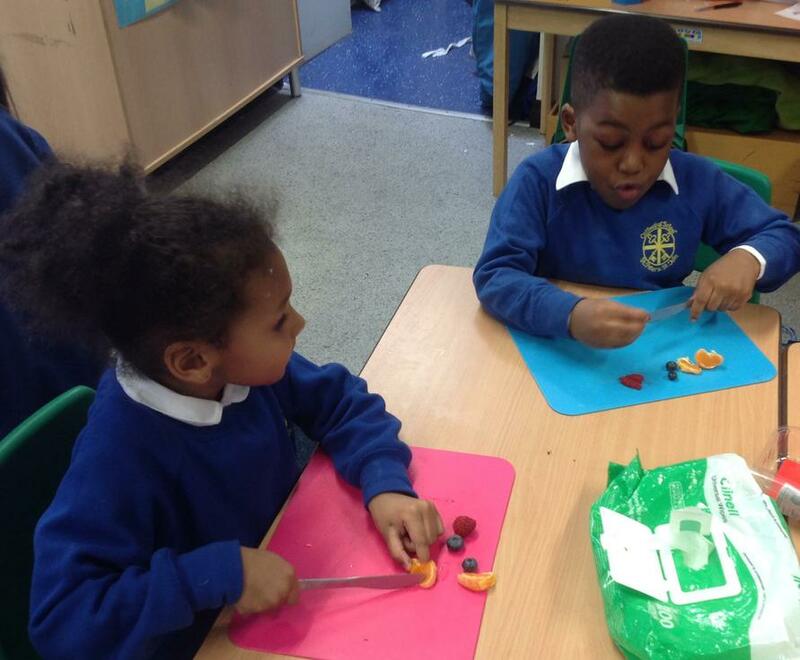 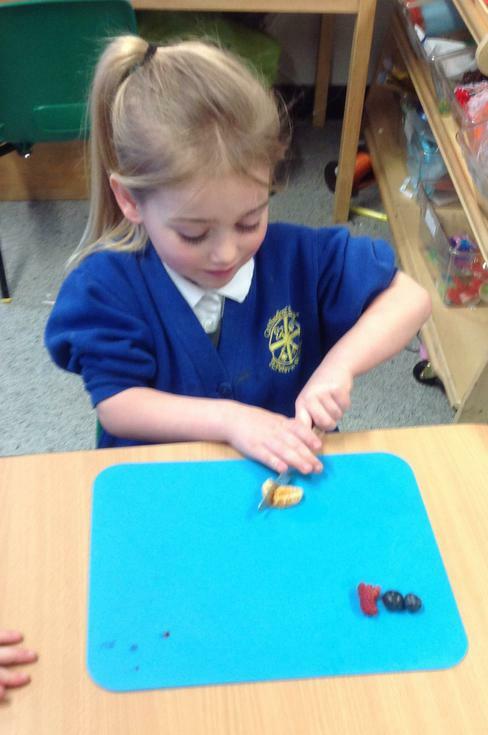 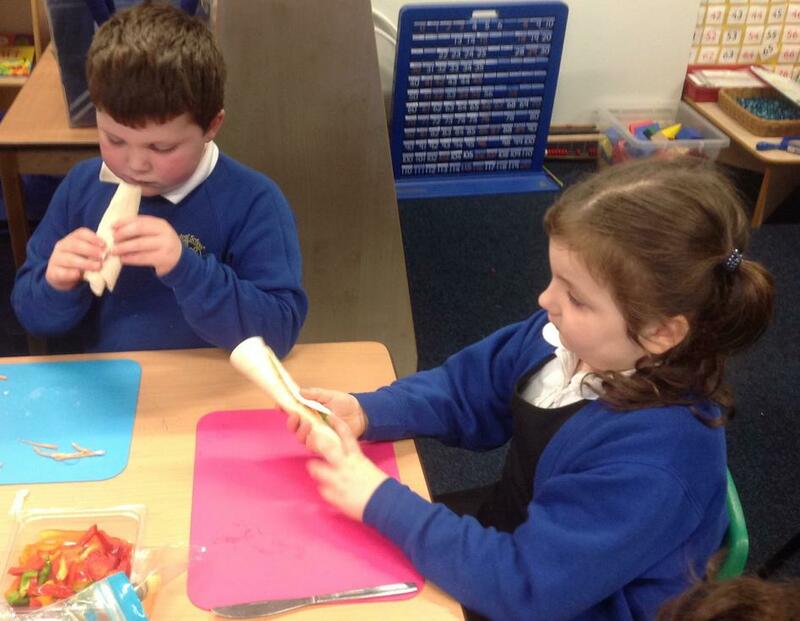 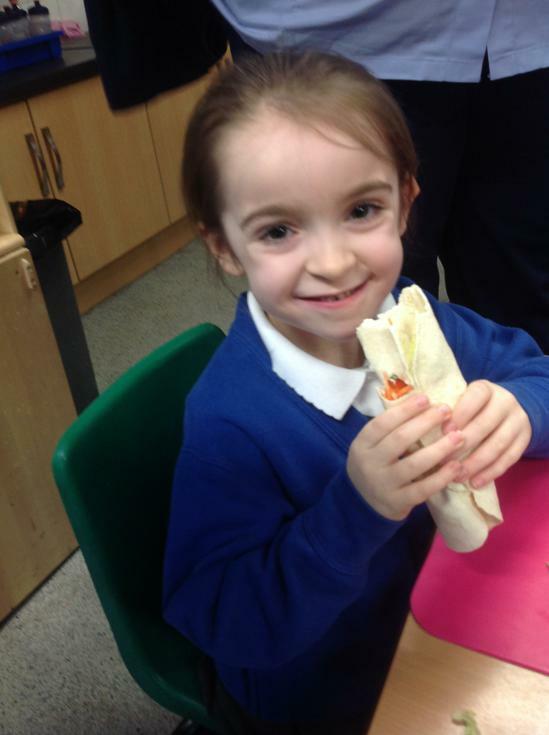 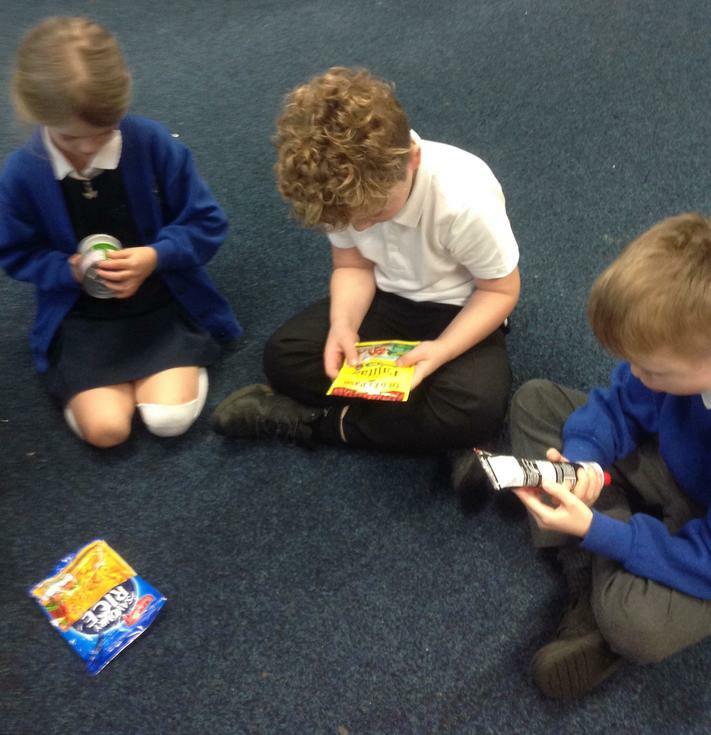 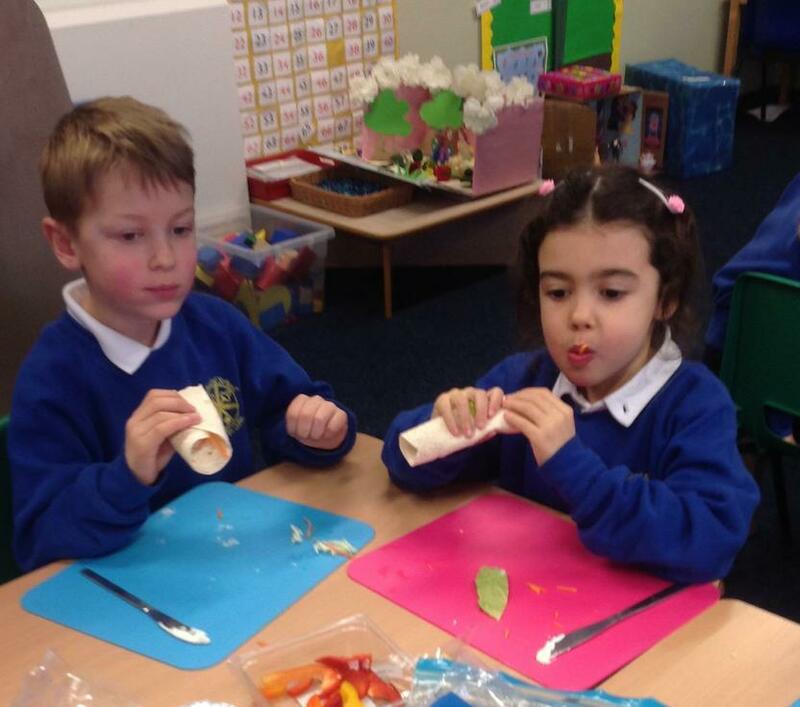 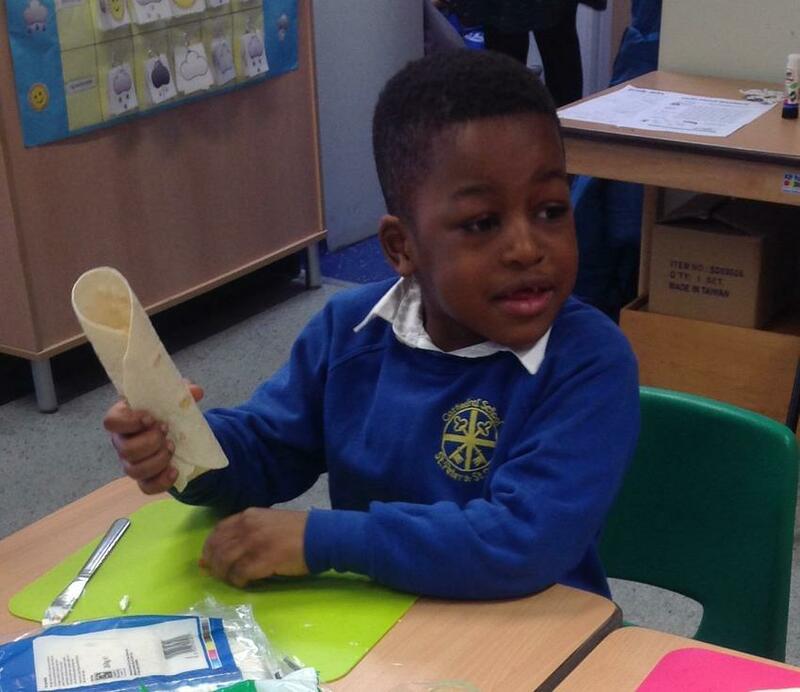 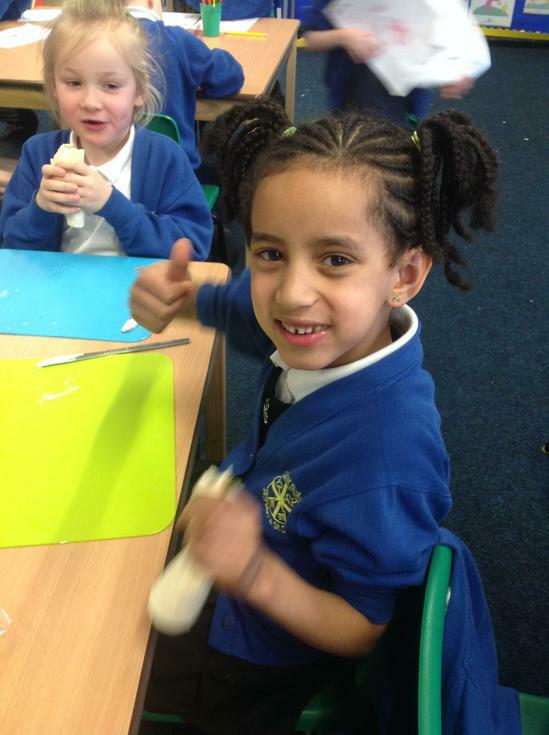 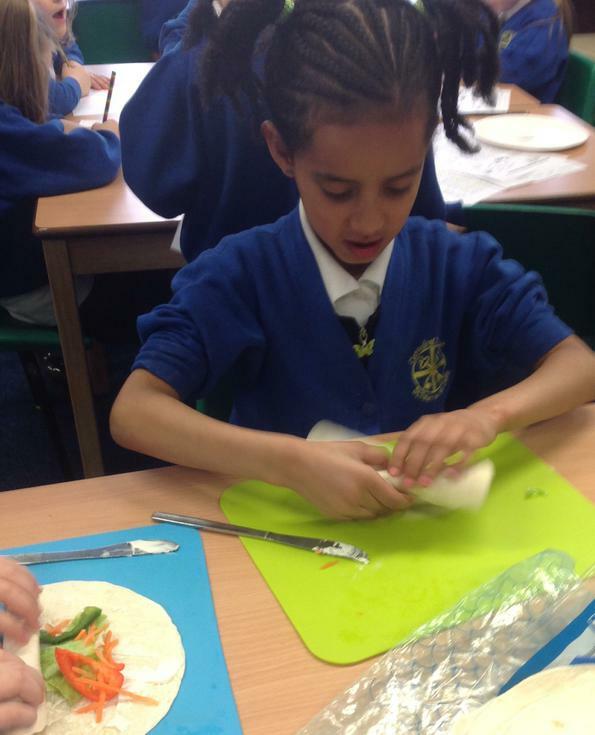 During the Spring term, we have been working with the School Nurse, finding out more about how we can stay healthy by making simple, fun changes to the way we eat. 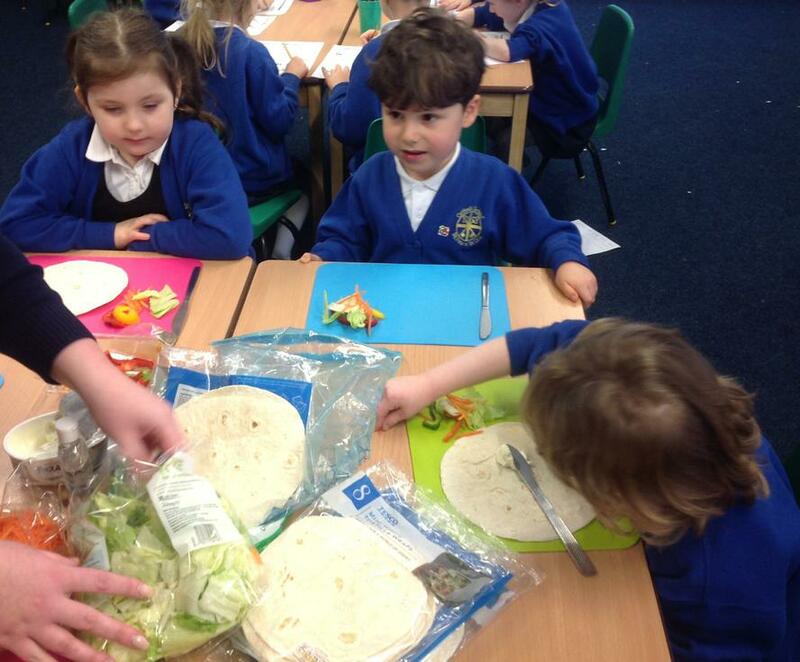 Over a series of sessions we learned how fresh is better for us than quick packaged food. 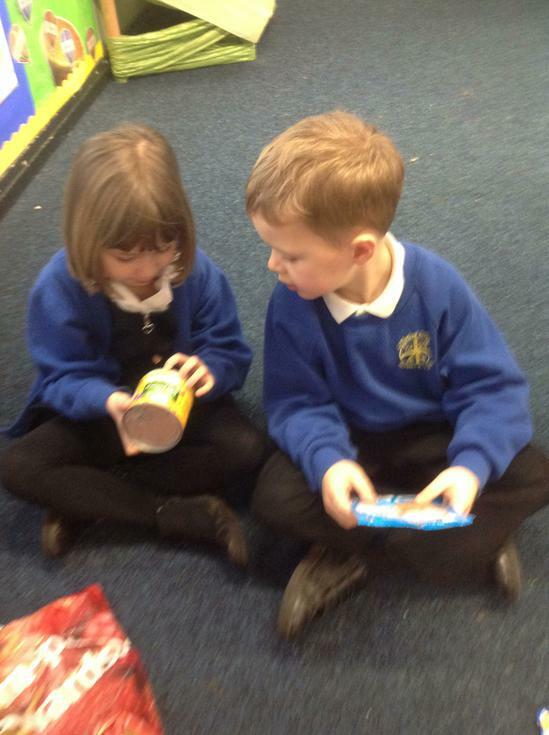 We looked at the labels and the clues we could see from them that might help us to decide if it would be good for us or not. 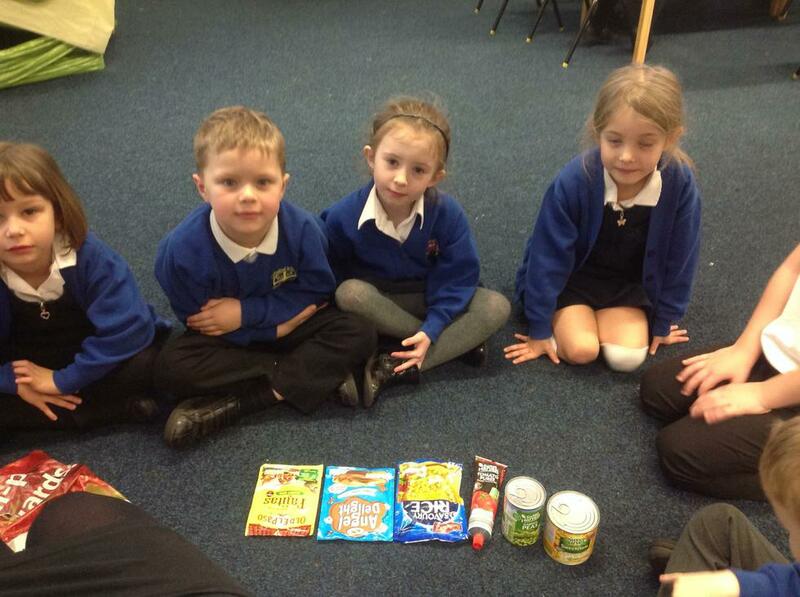 We sorted different foods into categories and made menus of for each meal of the day. 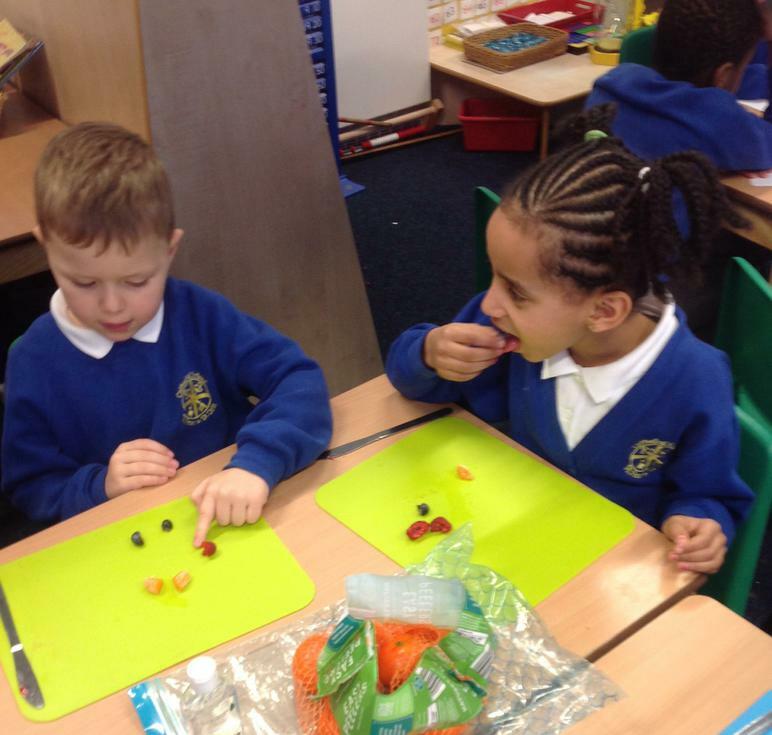 We learned that having breakfast in the mornings is really important to help us to focus so we can learn at school. 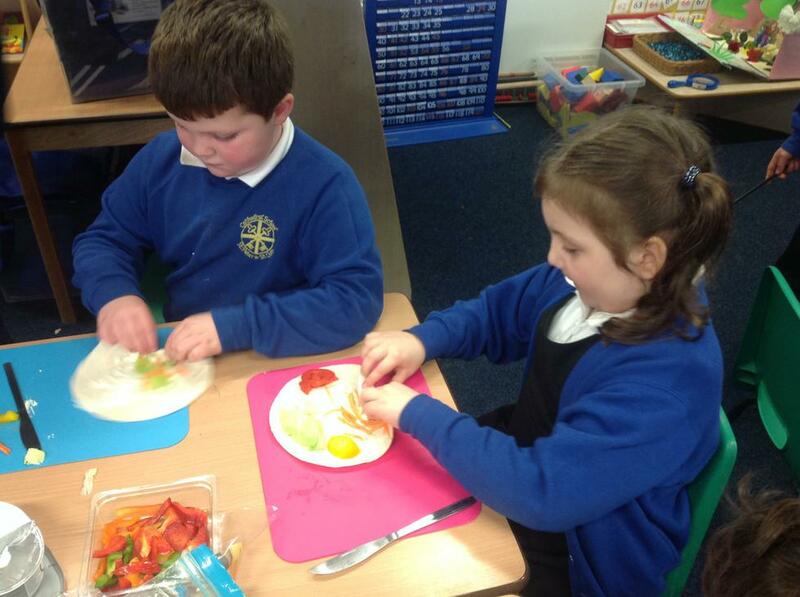 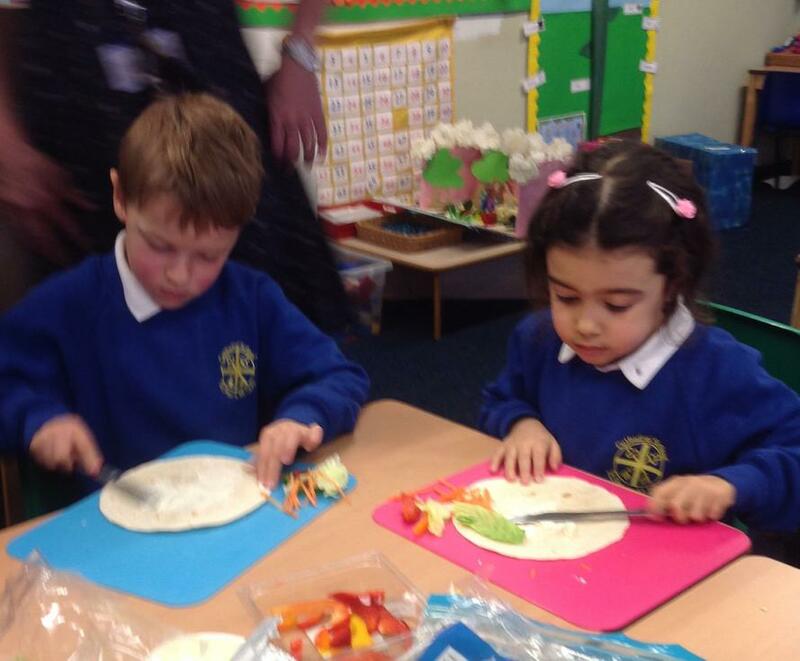 Finally we got to taste the rainbow - not by eating skittles - but by trying a rainbow full of fresh foods! 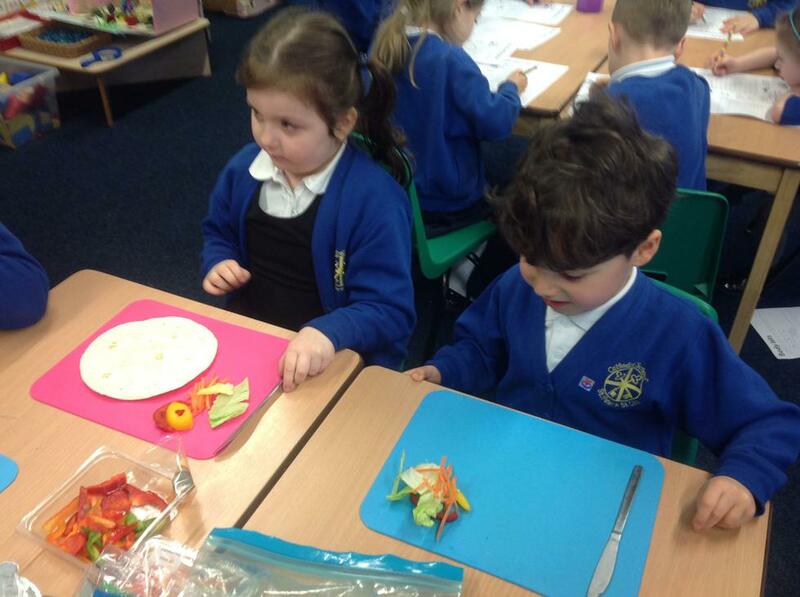 We we each had a flatbread and could choose from a colourful selection of vegetables to create a face. 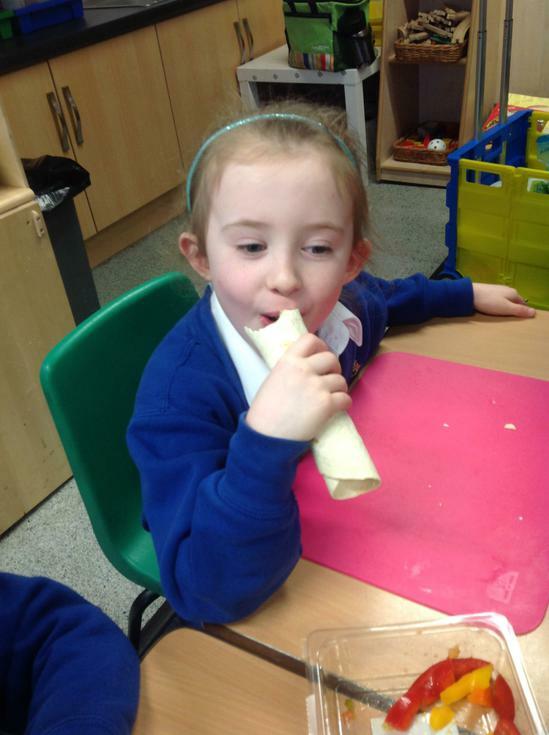 A simple, tasty and yet healthy snack we could make in the future at home!